Although the magazine hit the newsstands today, the news had leaked out several months ago-- ARCHIE ANDREWS IS DEAD. 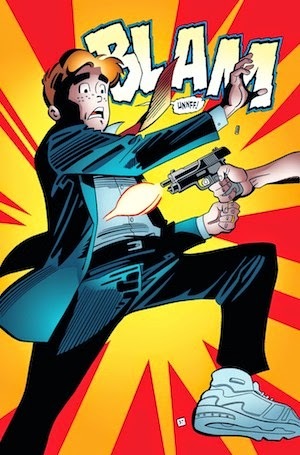 In "Life with Archie" #36, Archibald Andrews was shot while diving in front of a bullet to save his "best friend" Keven Keller (sorry Jughead), an openly gay newly elected Senator who wanted to champion gun control. Perhaps this writer is too far removed from pre-teen consumer spending patterns, but it seems inconceivable that there is much of a market for such Archie comics priced at $9.99 aside from an OCD Comic Book Guy. Paltry Archie Comics sales figures bear this bias out. The regular Archie comic ranked #327th selling 4,063 copies. The penultimate "Life with Archie" #35 sold 2,064 copies. Archie Comics CEO Jon Goldwater claims that this dramatic demise of the beloved redhead from Riverdale High was difficult. But judging from the edgy additions to an evergreen strip of innocence, Archie's ending with a big bang was not shocking. Goldwater has tried to make Riverdale more relevant by adding homosexual characters like Kevin Keller, Harper the "handicapable" character, interracial relationships (in which Archie fathers a child with Valerie of Josie and the Pussycats). Goldwater also sought to capitalize on the zombie phenomenon with "Afterlife with Archie". 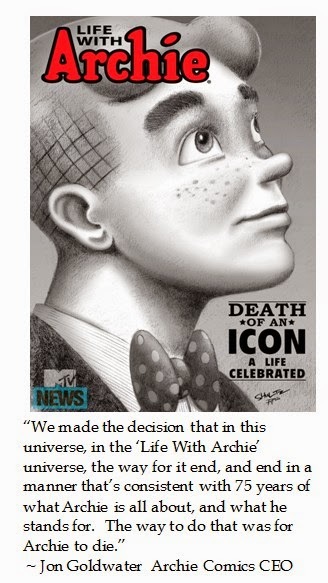 Archie taking a bullet generated lots of publicity while burnishing Archie's brand with heroic virtues. This dramatic denouement also conveniently closes a clumsy story-line. 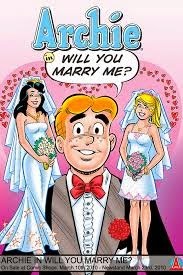 Several years ago, Archie marries both Betty and Veronica (albeit in parallel universes). After an issue of remembrance, readers can celebrate Archie's 75th anniversary. It's a pity that Goldwater could not honor its few remaining readers and let Archie Comics die with dignity in plots that continued to revolve around high school hijinx, malt shops and fickle flirtations. 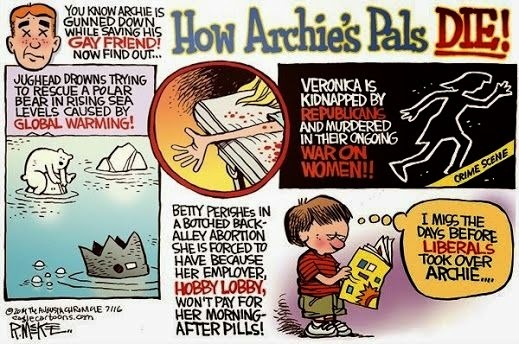 Alas, rather than making Riverdale more relevant, the death of liberal Archie makes the funny papers more of a joke. Pundits pontificated as to how other storied comics could politicize themselves. Conservative critics satirized Archie's apotheosis by speculating how his friends would perish is a politically correct cacotopia. 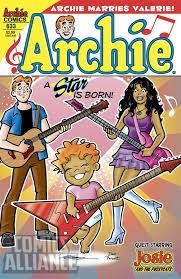 Considering the paltry sales of Archie's comics, this PC stunt will not sustain increased sales. 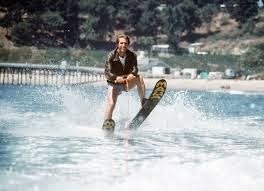 However, culturally it seems to epitomize how mass media is jumping the shark ala "The Fonz" on Happy Days (1977). Should PTSD Signify "Plagiarists' Thesis Shucking Disorder" in the District of Calamity? When President Obama chose six term Senator Max Baucus (D-MT) to be the Administration's new Ambassador to the Peoples's Republic of China in February 2014, there was a short term appointment into what had been the world's greatest deliberative body, as that seat needed to face the voters in November 2014. Montana Governor Steve Bullock (D-MT) appointed his Lieutenant Governor John Walsh (D-MT) to the position, as he was already running for the seat and incumbency might help Walsh's chances in a uphill year for Senate Democrats, especially in "purple" states. The people were not able to fully vet now Senator John Walsh (D-MT) until the campaign was in full throes. Unfortunately for Senator Walsh, this increased scrutiny exposed an embarrassing chink in his political armor. Part of an elective appeal for John Walsh is that he spent 33 years in the Montana National Guard, rising to the level of Adjunct General. Walsh led the 1st Battalion 163rd Infantry Regiment into combat in Iraq and is the first Iraq War veteran to serve in the US Senate.. The 53 year old freshman Senator made his military service a major Walsh had made it major selling point of his candidacy. 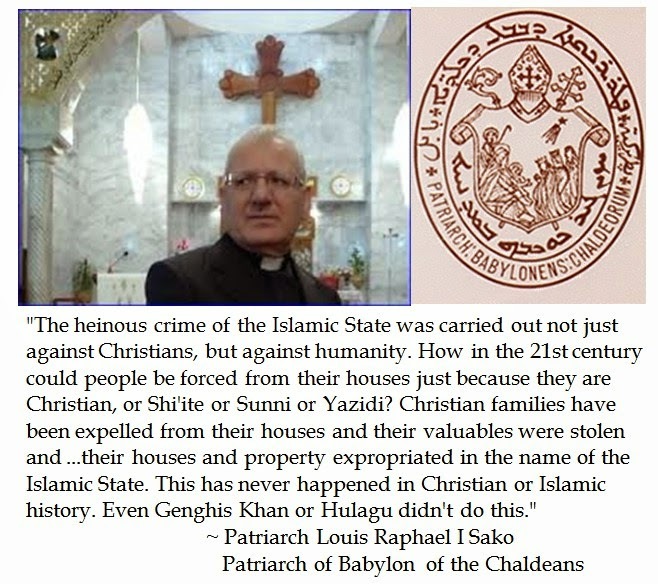 But the New York Times recently reported that in 2007 when Walsh wrote his "strategic research project" (akin to a Masters thesis) at the United States Army War College, he seemingly plagiarized substantial portions of the 14 page project on American Mid East Policy. The New York Times analysis indicates that a quarter of the quotes from “The Case for Democracy as a Long Term National Strategy" were borrowed from other authors without attribution. The Washington Post points out that Walsh "borrowed" from a paper written by a Harvard scholar in 1998. This was more than sloppy scholarship on the part of Walsh. Walsh concluded his thesis by offering six recommendations that were lifted nearly word-for-word from 2003 Foreign Affairs piece by Thomas Carothers from the Carnegie Endowment for International Peace. Some scholarship. Some honor. At West Point, the cadet honor code is "A cadet will not lie, cheat, steal, or tolerate those who do." Cheating includes plagiarism defined as presenting someone else's ideas, words, data, or work as one's own without documentation. 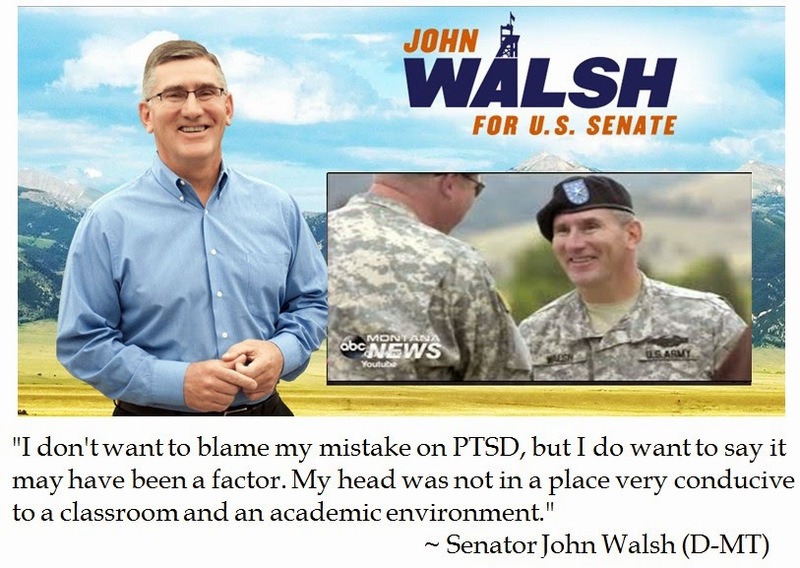 When this plagiarism problem popped up in the press, Senator Walsh's campaign spokeswoman Lauren Passalacqua tried to quickly shoot down the scandal by saying: “This was unintentional and it was a mistake.” When that quick quip did not fly, Senator John Walsh told AP: "I don't want to blame my mistake on PTSD, but I do want to say that it may have been a factor. My head was not in a place very conducive to classwork and an academic environment." Walsh maintains when he wrote the thesis, he had PTSD, was stressed at a fellow veteran's suicide and was on medication. Anonymous Walsh campaign staffers pointed to drugs to treat PTSD to give a context for Walsh's circumstances. Post Traumatic Stress Syndrome is a serious consequence of modern warfare, in which may not take as many lives or limbs but leaves mental scars. PTSD is often manifested by recurring flashbacks, hyperarousal, and avoidance or numbing of memories of the event. Plaigiarizing a master's thesis does not really seem to fit PTSD. Other politicians have plagiarized and survived. Then Senator Joe Biden (D-DE) plagiarized British Labor Leader Neil Kinnock rise from humble roots (and later Robert Kennedy and Hubert Humphrey), which forced him out of the race for the 1988 Democrat Presidential nomination, but he bounced back and is now the Vice President of the United States. What is more memorable than sloppy scholarship is a propensity to blame others and play for sympathy. Citing PTSD as an excuse for academic dishonesty demeans PTSD, dishonors Walsh's military valor, and smacks as a play for sympathy votes. The Walsh Senate campaign's tactic of employing underhanded excuses to invoke pathos makes one wonder if PTSD should signify "Plagiarist Thesis Shucking Disorder" in the District of Calamity. 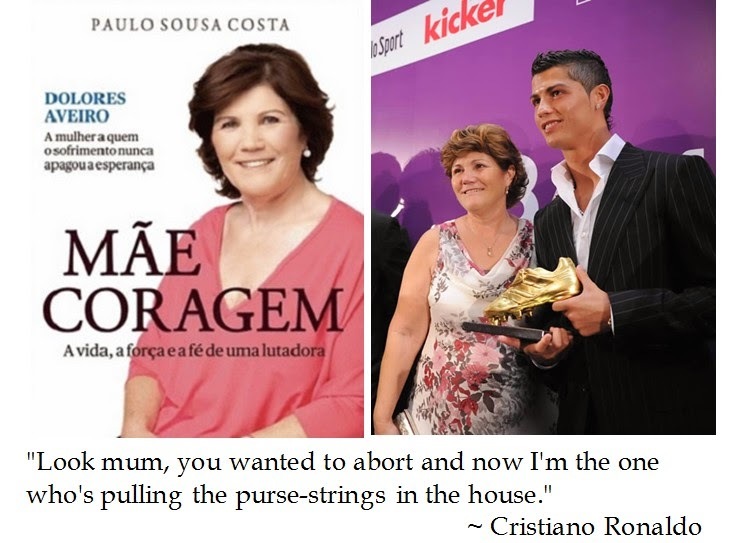 Had Dolores Aveiro been successful of getting rid of a pregnancy problem when she felt under mental duress, the world would have never seen the likes of Cristiano Ronaldo dos Santos Aveiro. What Does H.A.M.A.S. Really Stands For? Hamas is a Palestinian Sunni Muslim group that is internationally recognized as a terrorist organization. Hamas which has dominated the Gaza Strip since 2005 when Israeli settlements were voluntarily relinquished settlements to implement the Oslo Accords as part of the peace process. Hamas is an acronym for Ḥarakat al-Muqāwamah al-ʾIslāmiyyah, Arabic for "Islamic Resistance Movement". The acronym means "Enthusiasm". But sometimes acronyms are given more meaning by actions. The modus operandi of Hamas is to indiscriminately lob crude missiles at their Israeli "enemy" (the one's who ceded the territory where they operate). But these "brave" Muslim Brotherhood affiliates operate their rockets in the middle of civilian settlements, schools or mosques. The United Nations Relief and Works Agency for Palestine Refugees (UNRWA) discovered 20 missiles in schools run by UNRWA and then handed them back to the "local authorities" to then be fired at Israel. 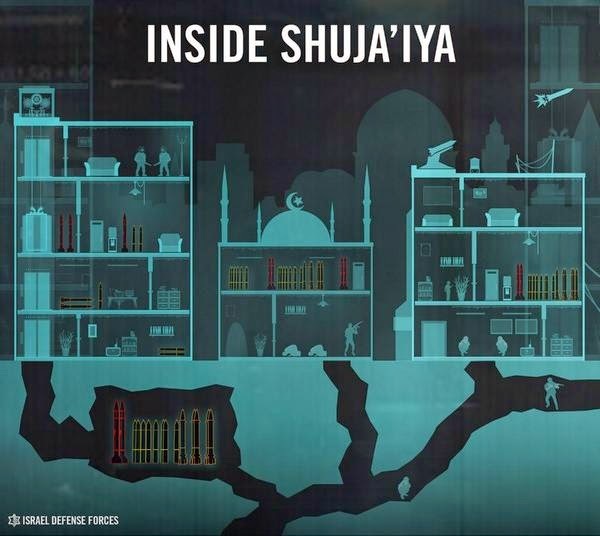 Then there is the Shuja'iya neighborhood in Northern Gaza, Hamas used a mosque and two adjacent buildings connected by tunnels were extended to the Israeli border and used as a depot for Hamas rockets. 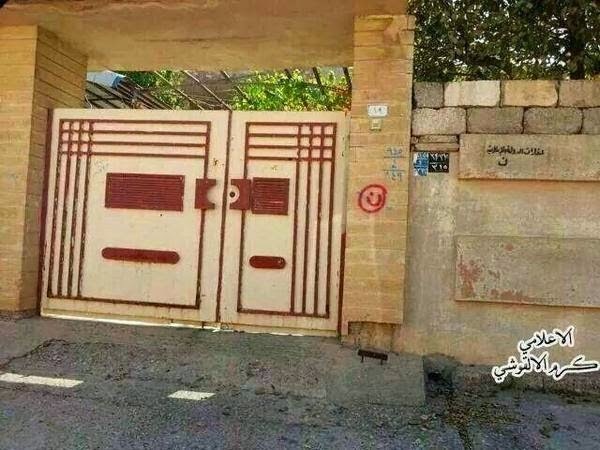 Even though the Israeli Defense Forces give early warning to civilians to evacuate before the IDF attacks in Gaza, the inhabitants defiantly refuse to leave. Some pro-Palestinian apologies reason "Where can they go?" But Hamas spokemen urged the civilians not to heed the IDF warnings. These human shields can then be pointed to as brutality by their enemy. 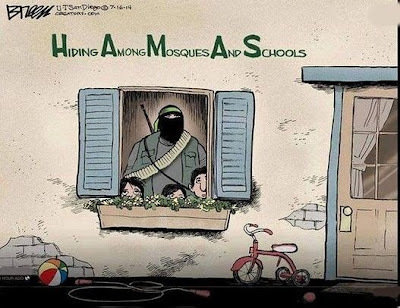 This is why Israeli Prime Minister Bibi Netanyahu labels Hamas tactics as a double war crime. Hamas knows that it can not win conventional warfare against the IDF, but if enough Palestinian civilians are killed during Operation Protective Edge, the International Press can decry the humanitarian loss along with an anti-semetic gloss. Former Israeli Prime Minister Golda Meier anticipated this culture of death among militant Palestinians when she proclaimed: "We can forgive the Arabs for killing our children. 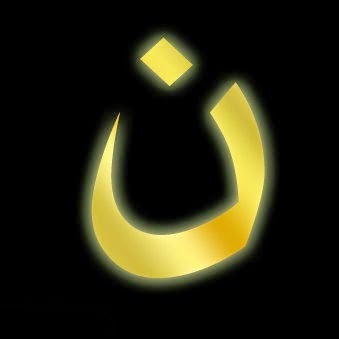 We cannot forgive them for forcing us to kill their children. 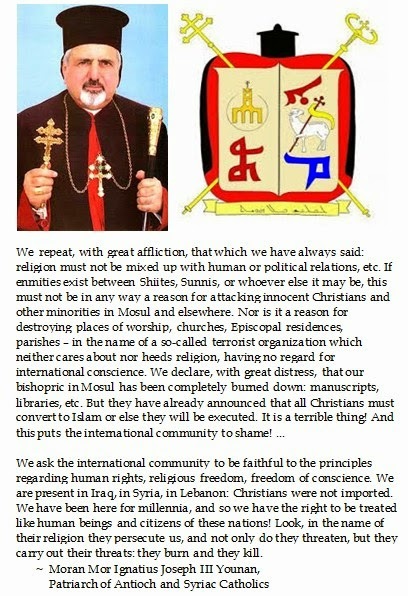 We will only have peace with the Arabs when they love their children more than they hate us.". 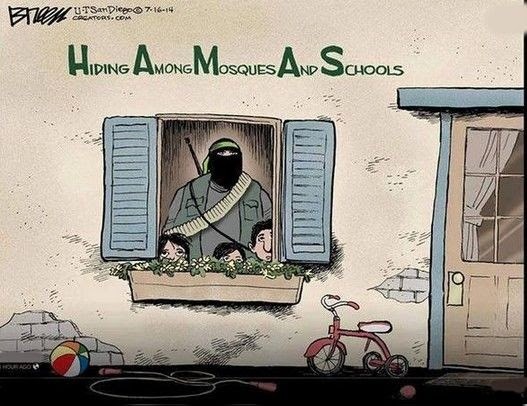 Even though Hamas might sound like enthusiasm in Arabic, based upon their tactics and weltanschaaung, what Hamas really stands for is Hiding Among Mosques and Schools.